Without a doubt, this was the coldest tournament in R & B Bass Circuit history. It was a brisk 15 degrees at take off and only warmed to 32 by quitting time! Still, 7 of the 10 teams managed to weigh fish. 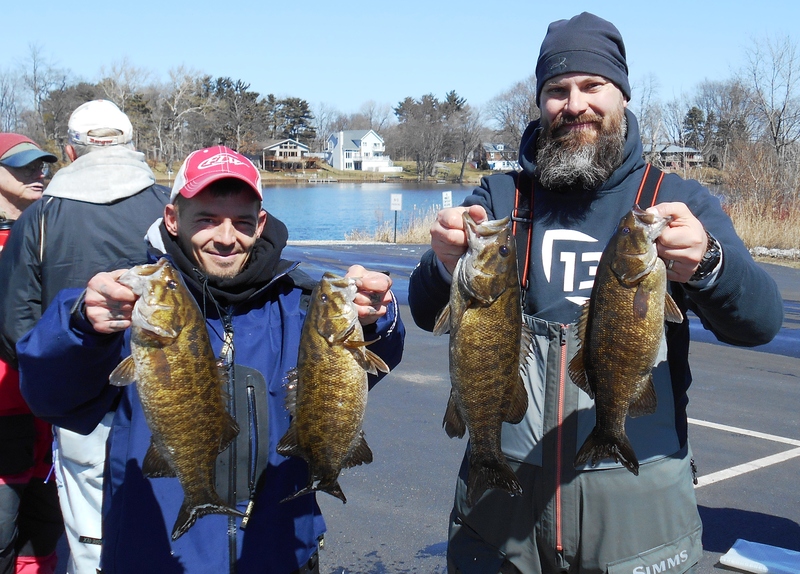 1st Place: Greg Mangus and Kevin Fletcher managed 4 smallmouth weighing 10.40 pounds, including the tournament's biggest fish, 3.64 pounds. They threw green pumpkin and brown jigs teamed up with a matching pork trailer. Fish were sitting in 5 feet of water. They won $250 for the win and another $100 for the big fish. 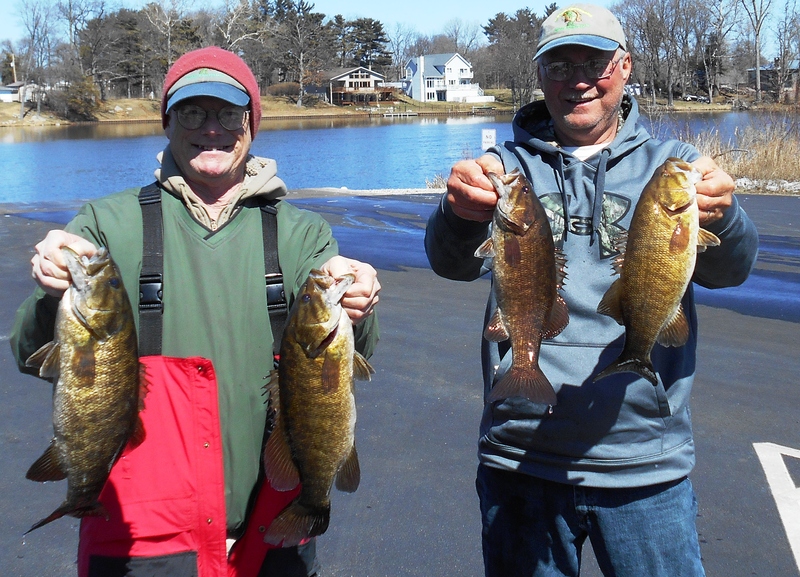 2nd Place: Steve Kline and Mark Farver crept 1/4 ounce jigs in the main river for 5 smallmouth weighing 9.26 pounds. Most fish bit as the jig came over rock or wood. They were awarded $150 for their efforts. 3rd Place: Jason Lahr and Ira McDonald landed 3 fish with a 3/8 oz Strike King KVD jerkbait and another with a Rapala Shadow raps. They weighed 9.14 pounds. All fish came between 3-8 feet on the upstream side of a point. While they did not win any money, they received a round of applause! Click HERE for a .pdf file of the results.